This Southern California landscape is redundant in its beauty. Several times I've been riding my bicycle north as the sun set to my left and dropped behind the water line. A cascade of pinks and orange dust the skies, glow in the underbelly of the clouds, and ping diamond-like off the water. Without fail, I'm wowed and then laugh to myself because it seems like such a joke. It's predictably postcard-perfect and really, really pleasant. Writing about what I hang on my walls made me recall a conversation that Matthew and I had with Jane when she was here last week. I don't remember how it came up but Matthew told Jane that he doesn't hang pictures of himself standing in front of utopic scenes. He used the example that a photo of ourselves on an Icelandic glacier in hail and high winds with snot frozen on our upper lips would be acceptable. 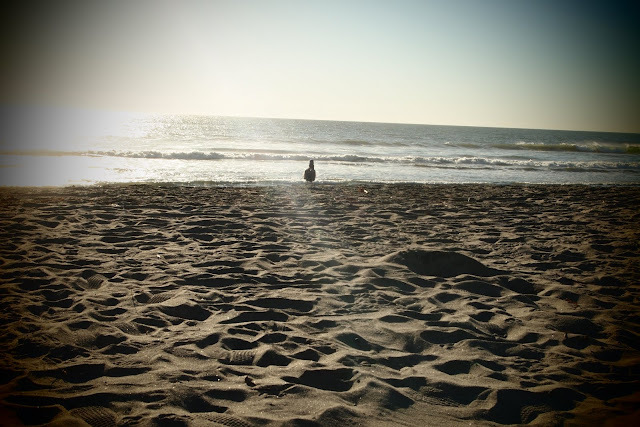 Arms around each other on warm sands, palapa and beach volleyball in the background would not. Which just gave me an idea: what if there were a volleyball league that played exclusively on top of glaciers? It could happen! I'd hang that photo. 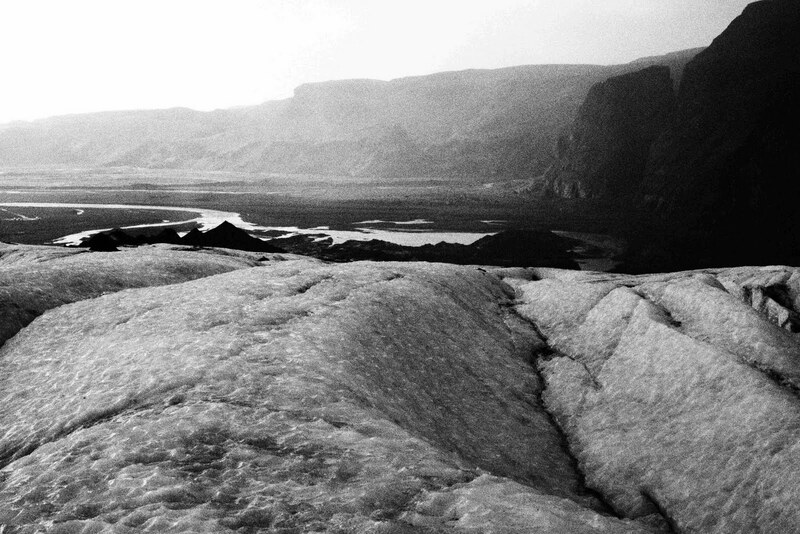 I remembered the Alaskan glacier photo I thumbtacked to my cubicle wall when I worked in New York. That glacier reminded me of the beauty outside of New York, a perfect contrast to the beauty of city mayhem. I just hung photos around my desk here in Oceanside, shots I took in Berlin, Prague, London, Houston, and Iceland. Most of them are streetscapes, graffiti and art on public walls. One is through a window from an ancient turf roof house in Iceland. 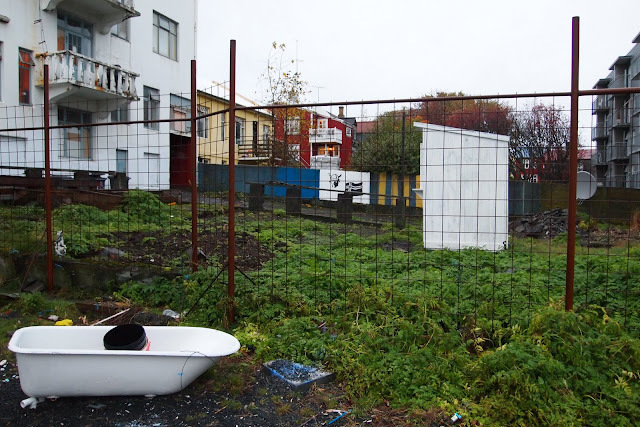 Another is a bathtub that I caught sitting in someone's backyard in Reykjavik. Why did I hang that bathtub over my desk and not glaciers, mountains, and waterlines? 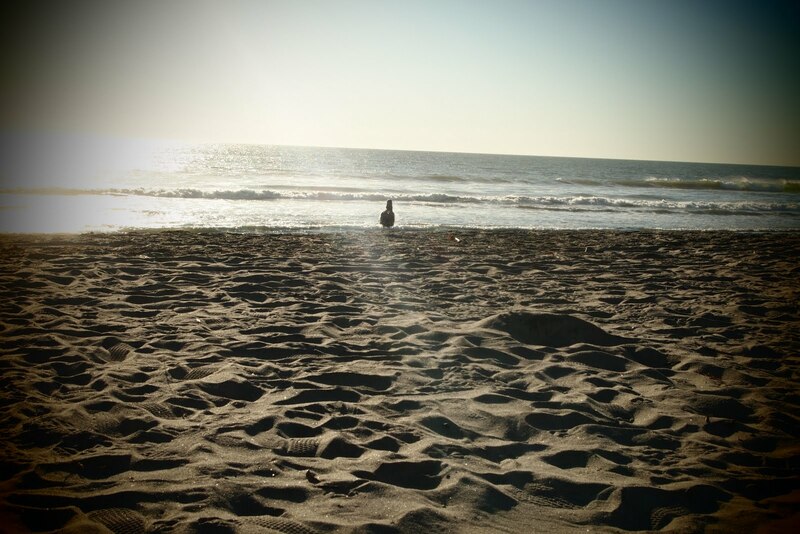 I think because there is so much landscape in California to see. I get my fix from the Santa Rosa Mountains to the east and the sunset that is practically tedious with its allure. I understand why so many people live here. So I turn my mind to other questions, like does anyone bathe in that tub?